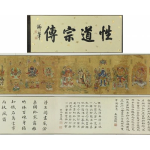 888 Auctions is presenting a timed auction of over 480 lots of Chinese and fine Asian antiques and items of interest, through iCollector.com. This is an absentee bidding catalog and bids required to be in by December 3rd at 2PM Eastern Time. 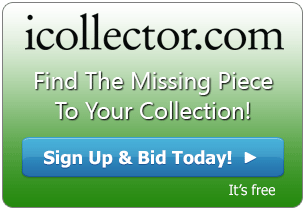 At that time, the auctioneer will take the highest bids on iCollector.com and place them in the live auction happening later in the day. This is one of the best catalogs of the year from 888 Auctions and offers an outstanding selection of pieces to chose from. The various works are grouped together in the online catalog for easy viewing and bidding. 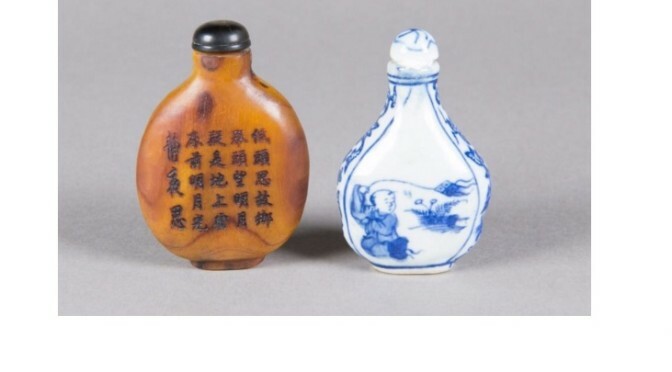 Lots 1 to 86 show paintings and textiles, and lots 87 to 103 are a collection of snuff bottles. 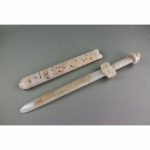 Works from stone are at lots 104 to 151, from nephrite at lots 152 to 193, and from jadeite at lots 194 to 237. Bidders can find ceramics through lots 278 to 382, and various metalware available at lots 383 to 416. A selection of money and stamps are on the auction block at lots 417 to 429, and some natural history items are available to collectors from lot 430 through to 460. 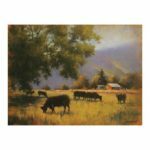 The auction catalog wraps up with a selection of wood art and furnishings, along with some miscellaneous items from lots 461 to 485. Look at some of the auctions feature items, Lot 32A is an early standout. This lot presents an acrylic on canvas painting from artist Yayoi Kusama (1929 – ), signed on the back with 1989. The painting depicts a beautiful group of sea horses and is framed with dimensions if 33.4cm by 24.3cm. This work has been certified by Ace Fine Art and Hiroyuki Haoka in 2010. Bidding is opening in the online catalog at $750 and there are several photos available in the online catalog. One of the highlight creations of the sale is a gorgeous Chinese Famille Rose Porcelain Vase at Lot 345. This has a pear shaped body with displayed foot rim, featuring flowers and birds medallions surrounded by Shou longevity symbols and bats. The base bears a four character Qianlong red mark with peach motif on a gilt ground. This stunning piece measures 39cm high and 22cm in diameter with a weight of 3425 grams. There are several excellent photos showing online and this great piece has an opening bid of $3800. This is one of the must have pieces of the sale and will go on the auction block to the highest bidder. All pieces have an array of beautiful photos and full descriptions available for immediate viewing in the online catalog. Bidders are able to place their maximum bids up until 2PM Eastern Time on the December 3rd, 2015. These final bids will then be taken to the auction floor and placed in the live auction on behalf of each internet bidder. 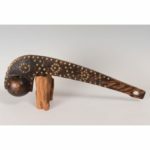 Winning bidders will be notified of their treasures shortly after the conclusion of the live auction.